1. 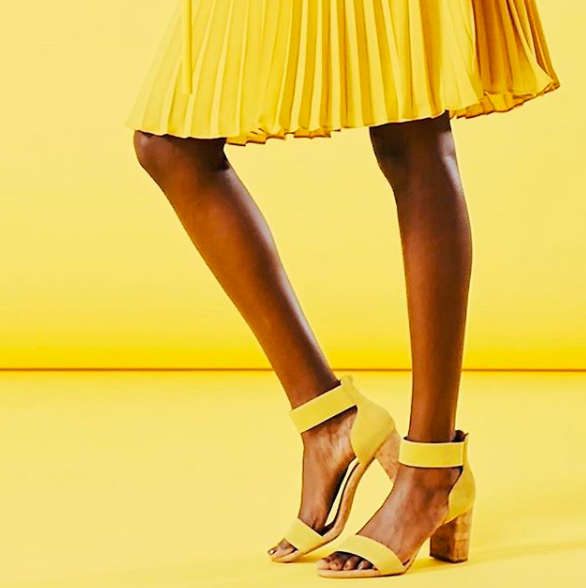 A precious block heel with a thin ankle strap that you'll literally be walking on sunshine in. 2. An elastic pair that will stretch and conform to your feet so you can easily romp around in style and happiness. 3. A strappy classic you'll love for its chic simplicity. The straps hit perfectly on your ankle to give your legs some length, making them perfect for shorts, skirts, or jeans. 4. A simple go-to staple for warm, casual days. They can be paired with practically anything. 5. 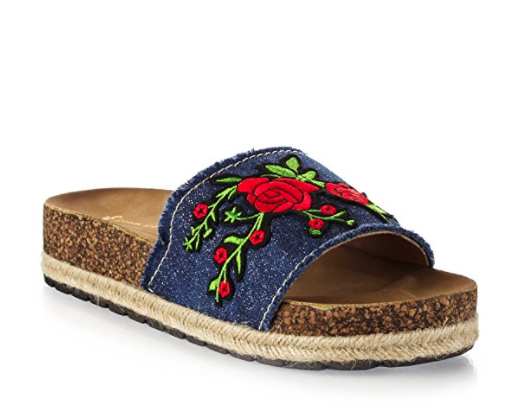 A flirty, wrap-up espadrille to rock with cropped jeans, or a summer dress for a fancier look. 6. 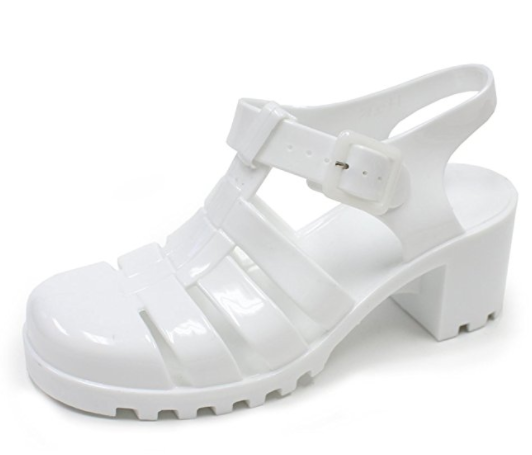 A cute jelly heel because unlike other people, I think you *are* ready for this jelly. 7. 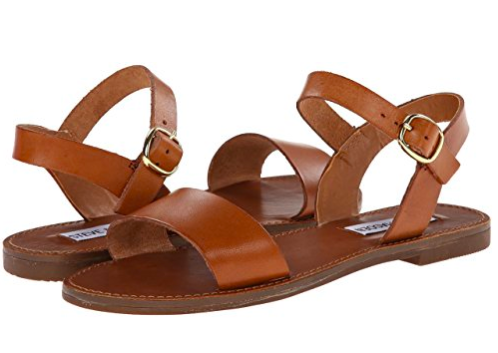 A trusty pair of Rainbow flip-flops with thick leather straps for everyday wear. They're *sole* loyal, you'll want to take them on all of your outdoor adventures! 8. A Velcro bootie sandal you can easily slip on and off because...VELCRO! It's also just a ridiculously cute shoe. 9. 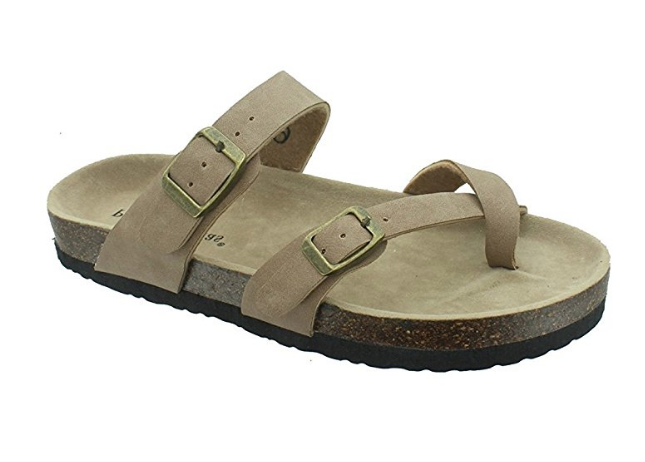 A cult-favorite sandal comfortable enough to keep you on your feet ALL DAY, whether you're rendezvousing in a national park or jamming out at a music festival. 10. A slip-on sandal for when you're on-the-go but still want to look effortlessly cute. 11. A lace-up gladiator with a small block heel that'll make your outfit stand out but still keep you comfy. 12. A peep-toe sandal to add something new and different to your summer wardrobe. They can easily be worn with a maxi dress or casual denim! 13. A sequin-y stunner that'll add instant glam — you can never wear too many sparkles. 14. 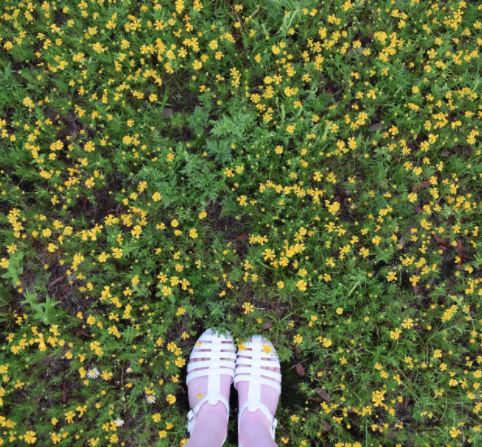 A pair of stretchy, hand-braided flats made with soft nylon to keep your feet blister-free. 16. A trendy AF, faux-corked heel with a pop of color your closet is in dire need of. Trust me, I asked. 17. A funky sandal wedge that'll be your outfit's statement maker. 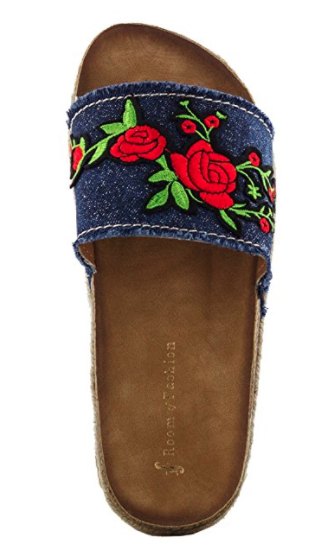 Just think how cute these would be with a bright dress or light-wash jeans. 18. An adjustable pair with buckles so you can find the perfect fit. The faux-cork midsole means your foot will conform to the shoe and feel like your sweet feet are perfectly bundled. Promising review: "Love these! I listened to the reviews though. and bought a size bigger than what I wear and they fit perfectly. 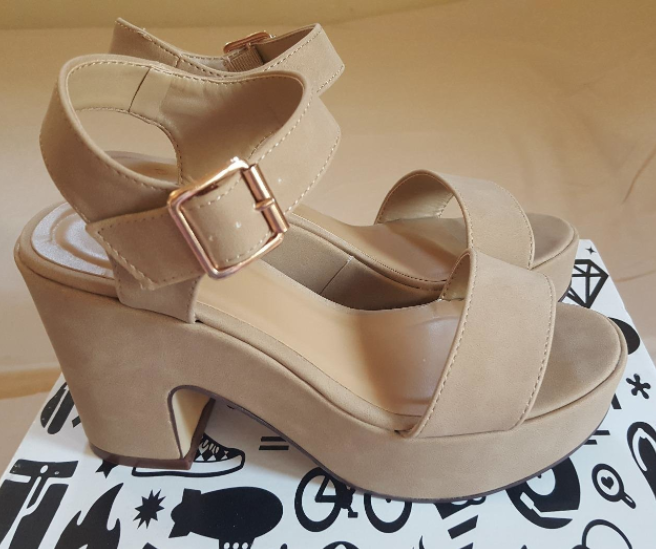 For example, I wear a size 8 and I bought these in a size 9, and held them up to each other and they were the exact same size. These shoes look just like the picture. Great buy! Quality is 10/10 as well." Joshua S.
19. An adorable mule-style option for Insta-worthy days. Think: brunches, vacations, weddings, and summery date nights. 20. A pair of knee-highs you'll feel like your fiercest self in. 21. A darling espadrille wedge with a canvas toe and leather lining that can easily be dressed up or down depending on the occasion. 22. A slip-on platform you can throw on when you're running out the door (yay for minimal effort!) and still know you're looking adorable as heck. 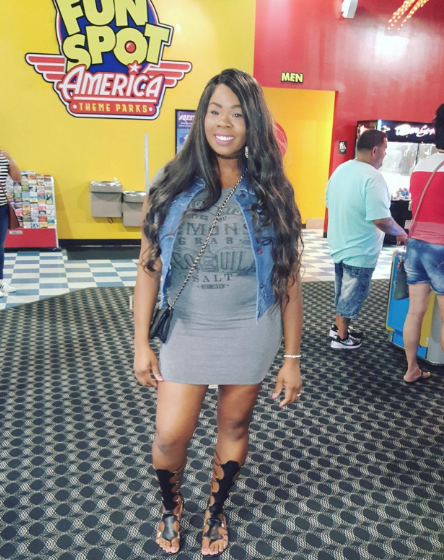 Be sure to read the reviews to determine the best size for you! Many mentioned they run small. 23. 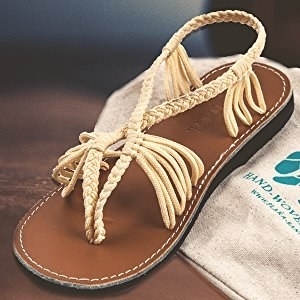 A highly-rated, classic summer sandal that'll most likely become the most adored shoe in your closet simply because of its versatility — and its trendiness, of course. 24. 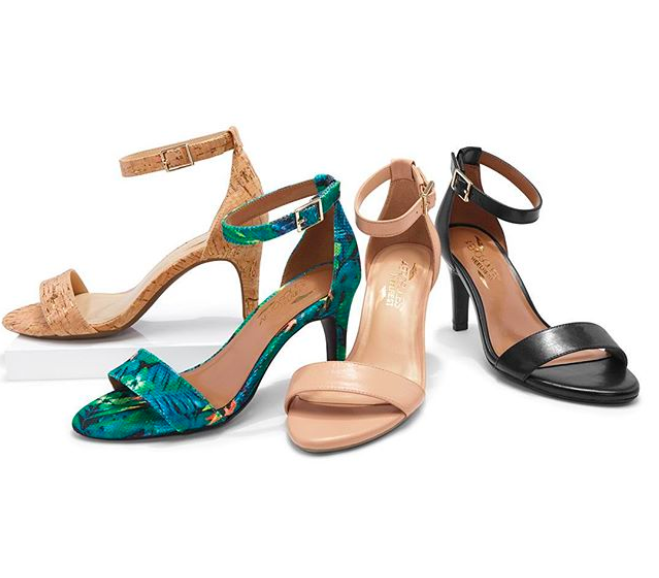 A dressy sandal pump for fancier occasions. 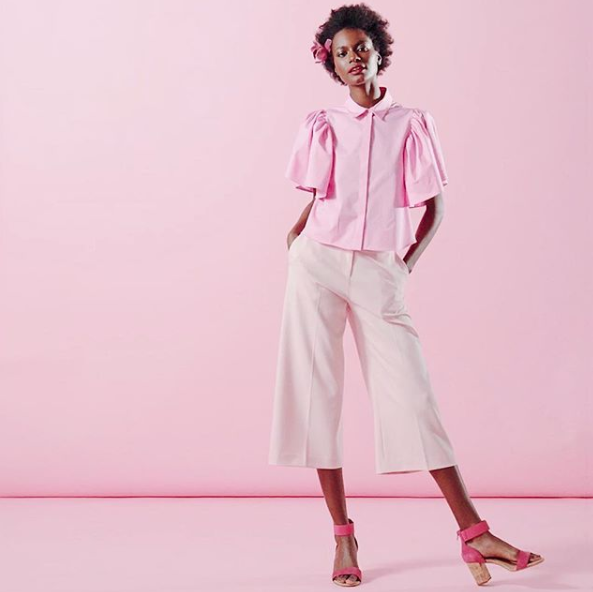 But honestly, don't listen to me — these are so freakin' cute (hello, tassels!) you should wear them 24/7. 26. A sassy, fringe pump with a kitten heel so darling, you'll want to wear them with everything. 27. 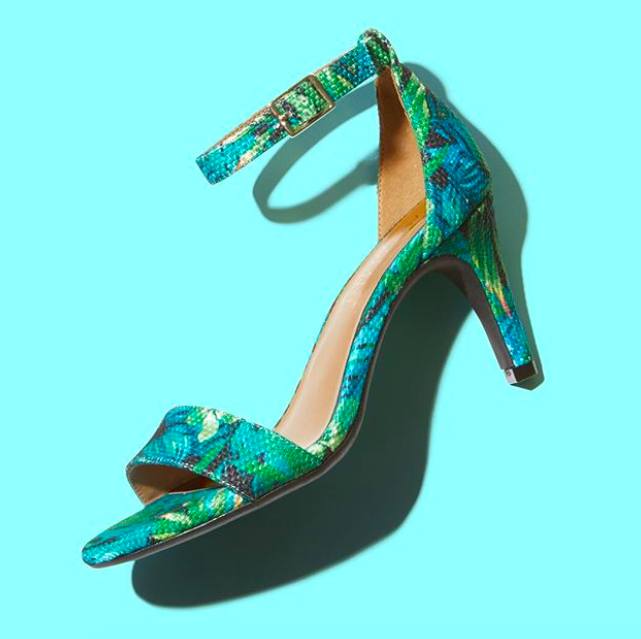 A lil' dress pump in a fun print to pair with a flowy skirt so you can twirl all through the night — which will happen because these are apparently super comfy. 28. A stylishly simple, platform wedge to give you some extra *pain-free* height. 29. 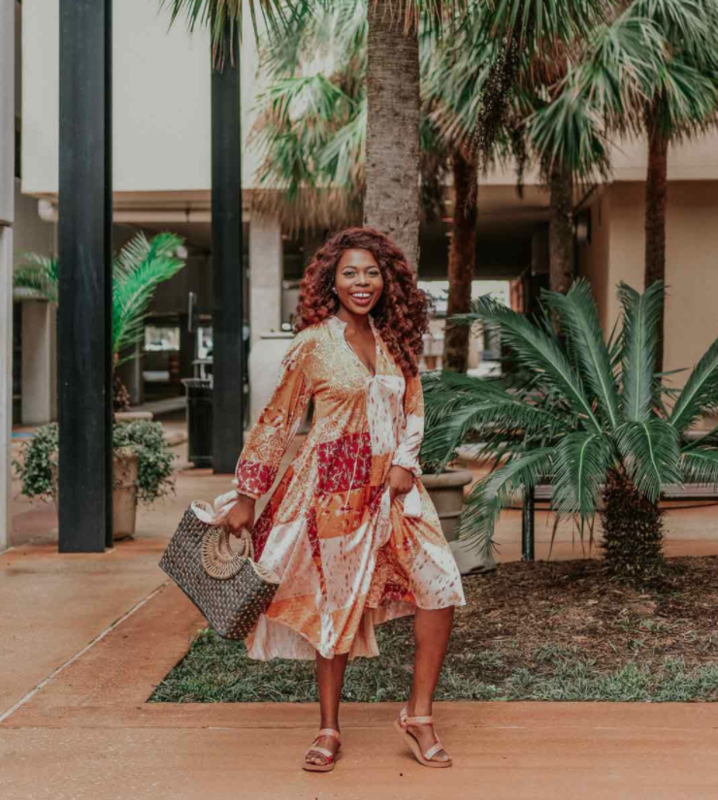 An extra-chunky heel you'll want to show off with every outfit due to the scientifically* proven fact that these go with everything. 30. A subtle, metallic flat because every closet needs a minimalistic pair of summery shoes to fall back on. 31. 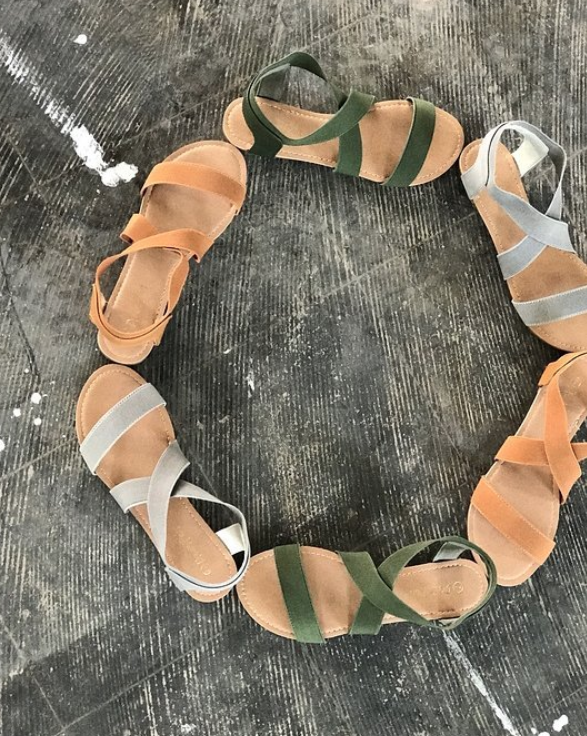 And a pair of hand-braided gladiator sandals you can hit the beach with or walk the city streets in an feel cute as hell. Ahhh, I just love summer.